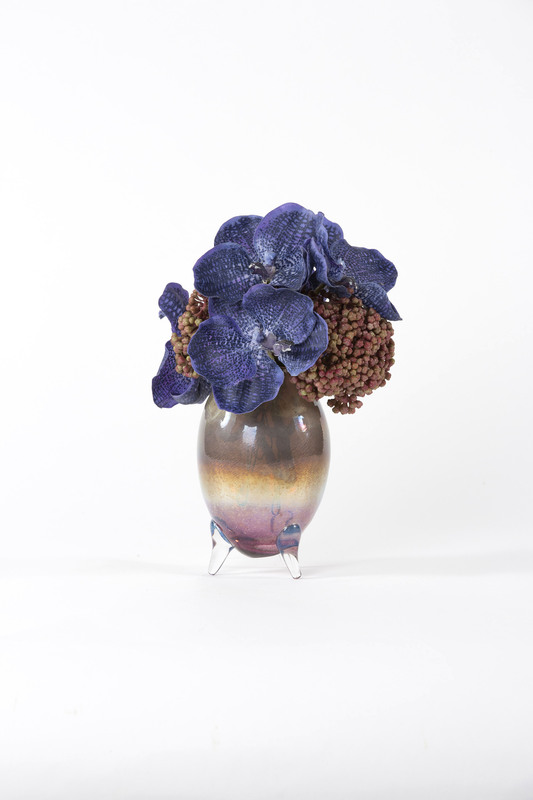 Rich dark blue Vanda Orchid heads mixed with Hydrangea Berries in a glass oval vase. 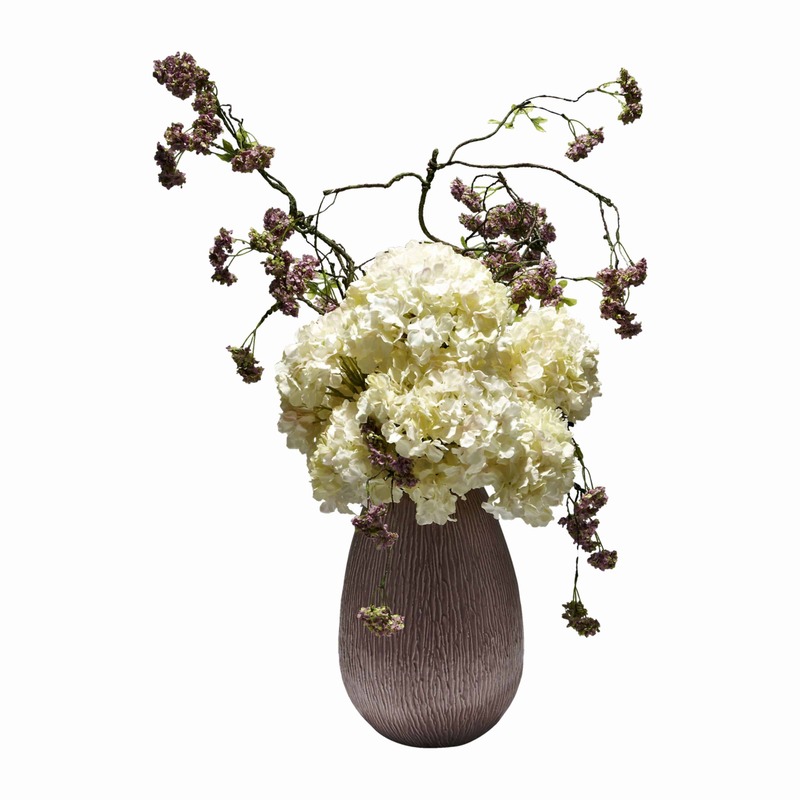 This little unusual vase stands on three foots and hues from red to brown beautifully complementing the brown red berries. 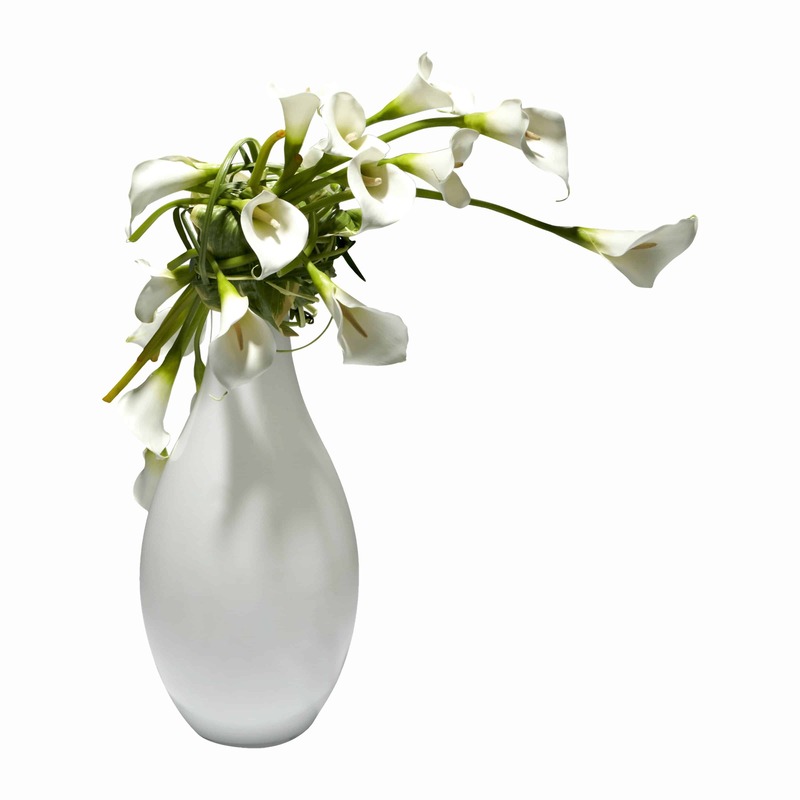 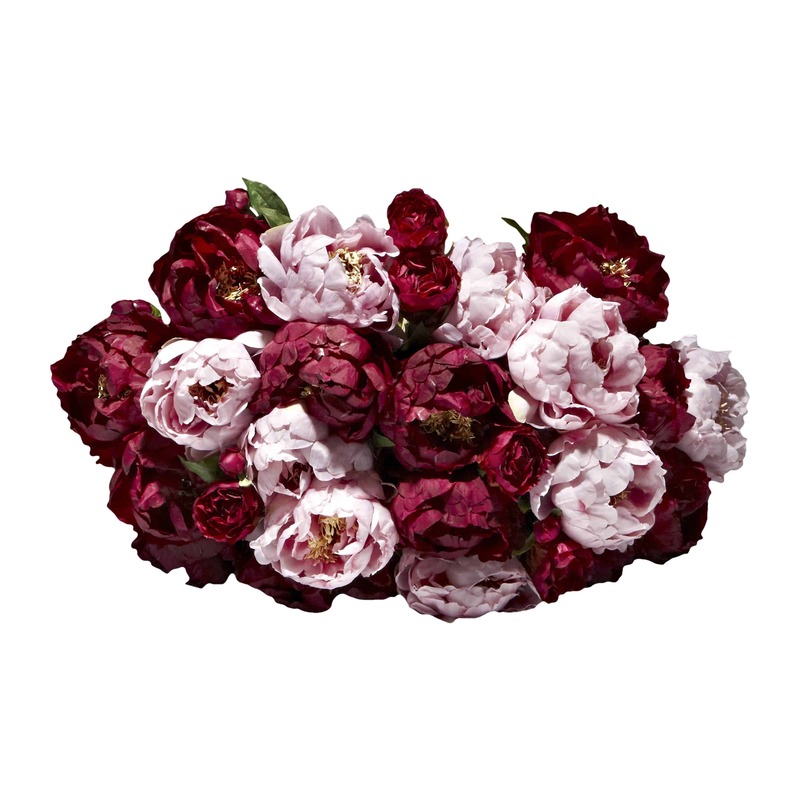 This mini faux floral arrangement would sit nicely on a shelf or a night table.